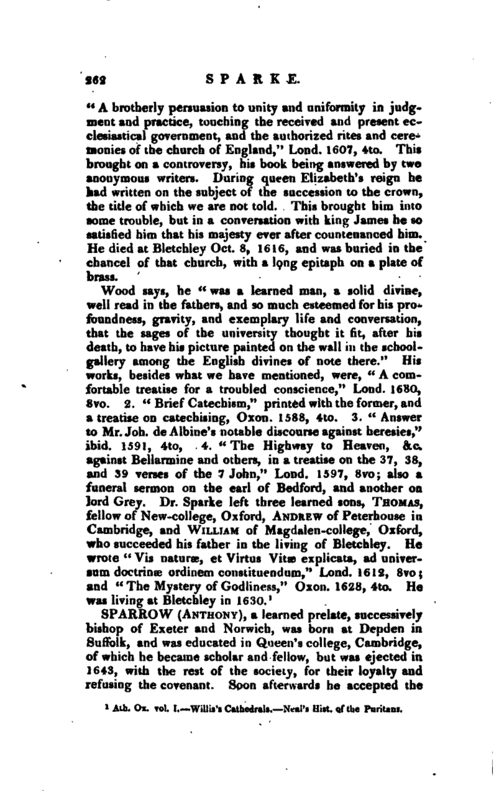 , a puritan divine of considerable note, was born at South-Somercote in Lincolnshire in 1548. Of his early education we have no account until he became a fellow of Magdalen college, Oxford, in 1570, in whicli year he was admitted bachelor of arts. Soon after he was presented, by Arthur lord Grey, to the parsonage of Bletchley in Buckinghamshire, where he was held in great esteem for his piety. He was also chaplain to Cooper, bishop of Lincoln, who, in 1575, bestowed on him the archdeaconry of Stow. 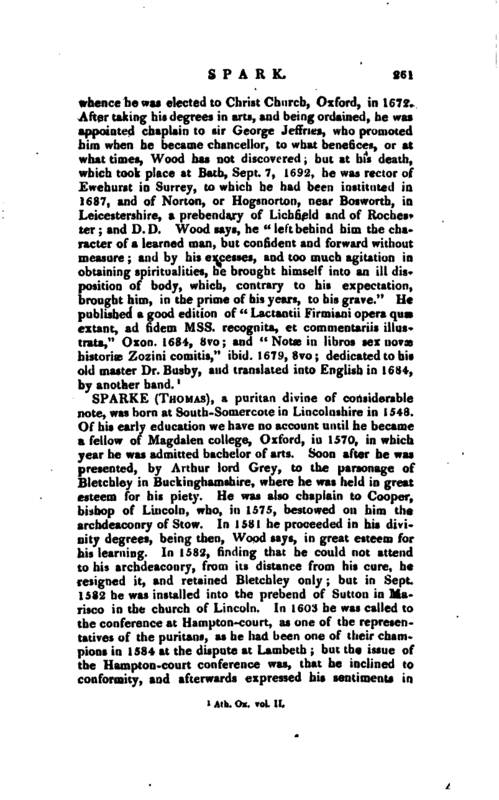 In 1581 he proceeded in his divinity degrees, being then, Wood says, in great esteem for his learning. In 1582, h’ncling that he could not attend to his archdeaconry, from its distance from his cure, he resigned it, and retained Bletchley only; but in Sept. 1582 he was installed into the prebend of Sutton in Marisco in the church of Lincoln. In 1603 he was called to the conference at Hampton-court, as one of the representatives of the puritans, as he had been one of their champions in 1584 at the dispute at Lambeth; but the issue of the Hampton-court conference was, that he inclined to conformity, and afterwards expressed his sentiments in | “A brotherly persuasion to unity and uniformity in judgment and practice, touching the received and present ecclesiastical government, and the authorized rites and ceremonies of the church of England,” Lond. 1607, 4to. This brought on a controversy, his book being answered by two anonymous writers. During queen Elizabeth’s reign he had written on the subject of the succession to the crown, the title of which we are not told. This brought him into some trouble, but in a conversation with king James he so satisfied him that his majesty ever after countenanced him. He died at Bletchley Oct. 8, 1616, and was buried in the chancel of that church, with a long epitaph on a plate of brass. Ath. Ox. vol. I Willis’s Cathedrals. Neal’s Hist, of the Puritans.